Who Can Outrun Climate Change? 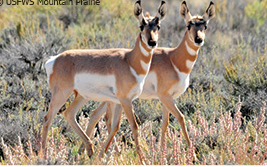 “Pronghorn are known for being the fastest land mammals in North America. But a pronghorn cannot outrun climate change, which is expected to greatly impact habitat in the western U.S. through worsened droughts and wildfires. Urban areas against rural parts of the world. Who are the first to lose? The animals that need to go from one part of their habitat to another. In several countries around the world wildlife crossings have been built. These crossings, either bridges or tunnels, make it possible for wildlife to travel without having to fear for their life when crossing highways. It is a win-win situation: people and animals are kept safe. Mountain lions and other vulnerable wildlife in the hills surrounding Los Angeles are trapped by heavily trafficked freeways cutting through their habitat areas—and many are dying trying to make it across freeways to roam or search for food. 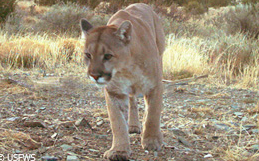 But we have an opportunity to provide safe passage for mountain lions in this vital habitat area by creating a wildlife crossing. 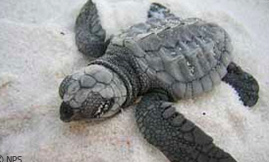 Four years after the oil spill in the Gulf of Mexico many animals still are in dire straights. Not only have many animals died due to the disaster, but the offspring of many species still is threatened by the aftermath of this ecological nightmare. “This summer, endangered Kemp’s ridley sea turtle hatchlings faced many obstacles as they scrambled from their nest towards the Gulf waters. But their biggest hurdle in the waters ahead may be the lingering effects of the 2010 Gulf oil spill. Finally, we’re nearing a point where the Gulf Coast Ecosystem Restoration Council can seriously start reviewing long-term restoration projects in the Gulf. When people move to the suburbs not only is land taken away from animals, but the infrastructure that makes these places livable and affordable destroy whatever was left for wild animals to survive. The patchwork habitats are clearly not appropriate for survival. It should be crucial for all planning commissions to take into account the needs of wildlife in the area. “It’s clear that southern California’s mountain lions need our help; and right now, we have an important opportunity to do just that. 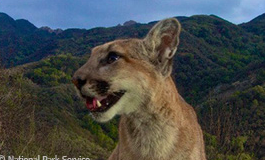 Help secure permanent protections for mountain lion habitat in southern California—urge President Obama to designate the San Gabriel Mountains as a new national monument today. More and more birds are losing their homes due to loss of habitat. The National Audubon Society is painting a bleak picture for the future of birds, telling us, that more and more species will disappear by the year 2050. “Provide running water. 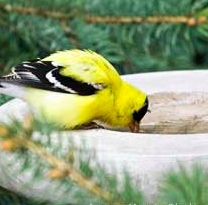 Birds require water year-round. The sound of running water in a birdbath or pond will be heard by birds from some distance, draw them in for a drink, and possibly a quick dip as well. Clean out birdhouses. Make necessary repairs to birdhouses in preparation for species that roost during fall and winter. In many areas, bluebirds, chickadees, nuthatches and winter wrens may take up nightly residence in birdhouses to keep warm and safe. Create brush piles. Save your fall clippings of branches and twigs. Then, pile them in a corner of the yard to create cover for birds that prefer habitat on the ground—such as dark-eyed juncos, tree sparrows and white-throated sparrows. Increase the number of feeders. In the cooler days of fall, birds increase their food consumption and will continue to do so as the temperature drops. Clean water will become one of the major problems if regulations and laws are not passed to protect them. 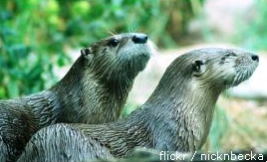 One species is especially in need of healthy waters: river otters. “River otters need healthy headwater wetlands and streams to filter pollution out of the waters that flow into the rivers where they live. 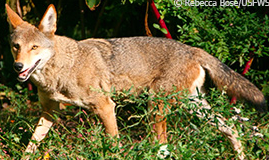 “Over the past few months, more than 24,000 wildlife advocates have sent messages urging their members of Congress to help provide much-needed funding for red wolf conservation programs. But now, the U.S. Fish and Wildlife Service is considering whether to terminate the red wolf reintroduction program altogether in eastern North Carolina.